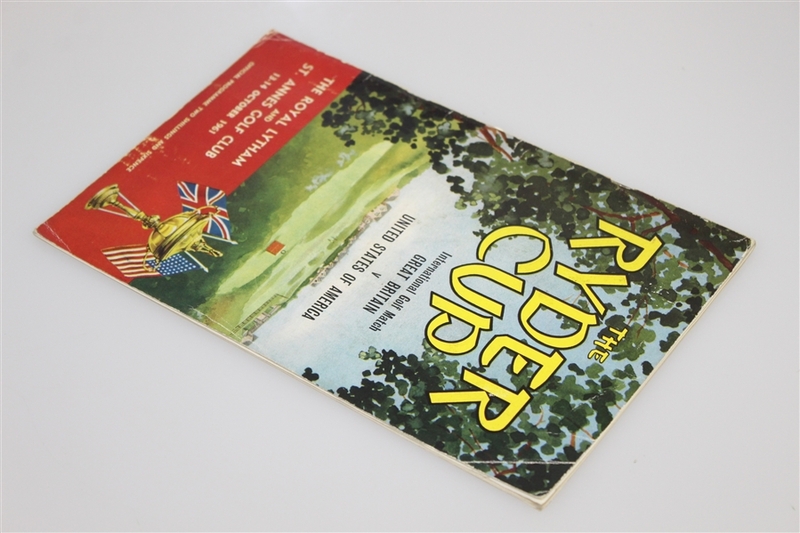 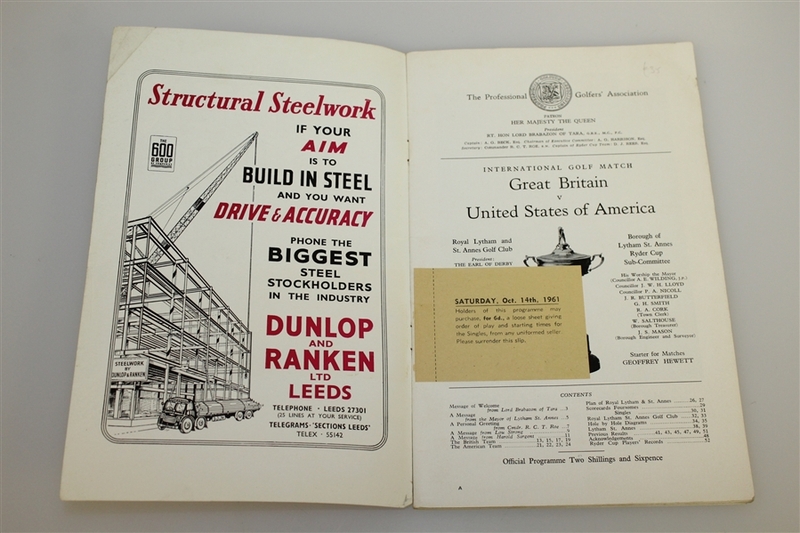 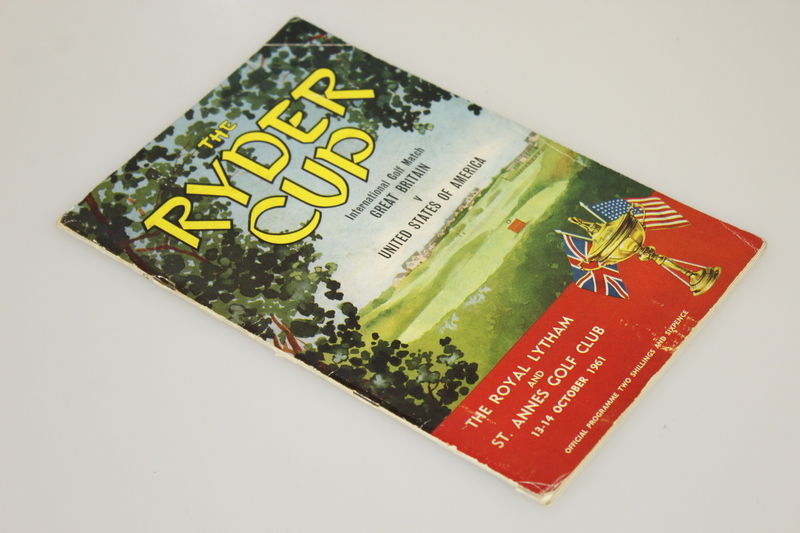 Presented here is a program from the 1961 Ryder Cup at Royal Lytham & St. Annes. 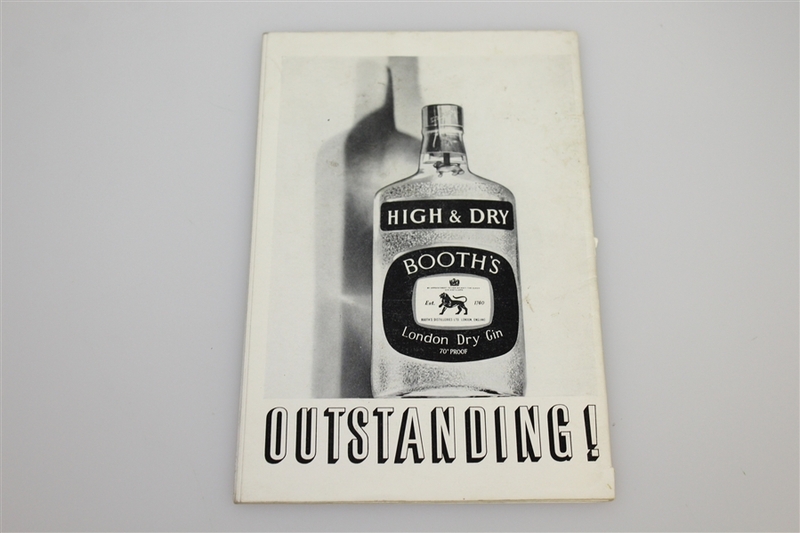 The front cover shows corner creasing and some scuff marks, otherwise good condition. 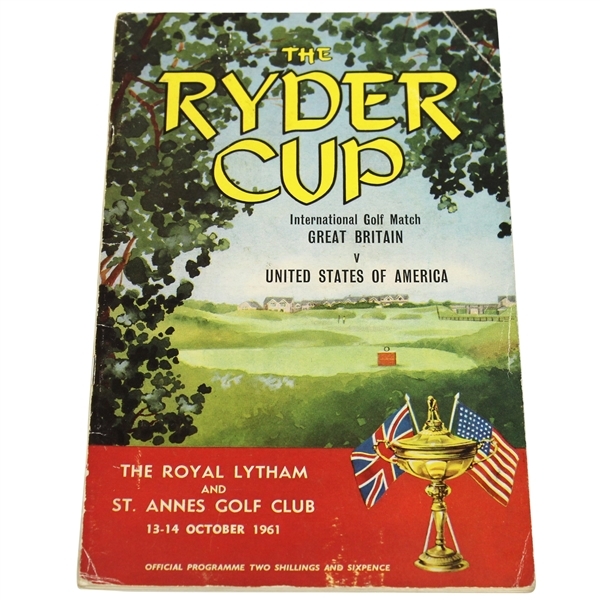 The 1961 matches at Royal Lytham & St. Annes was the debut of Arnold Palmer in Ryder Cup play, he would go on to post 23 points won in 32 career matches. The US team won the matches 14 1/2 to 9 1/2.